This is next week's brew, I've not actually started yet just planning. This recipe is based on the one from Candi Syrup's brilliant recipe page. 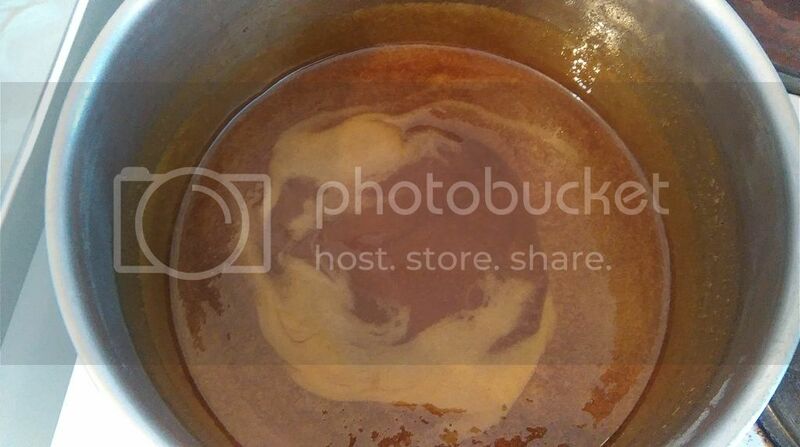 I made the candi syrup from muscovado sugar, thanks to 5hats for the help (see his how-to here). The candi syrup is home-made by boiling muscovado sugar for 3 hours. 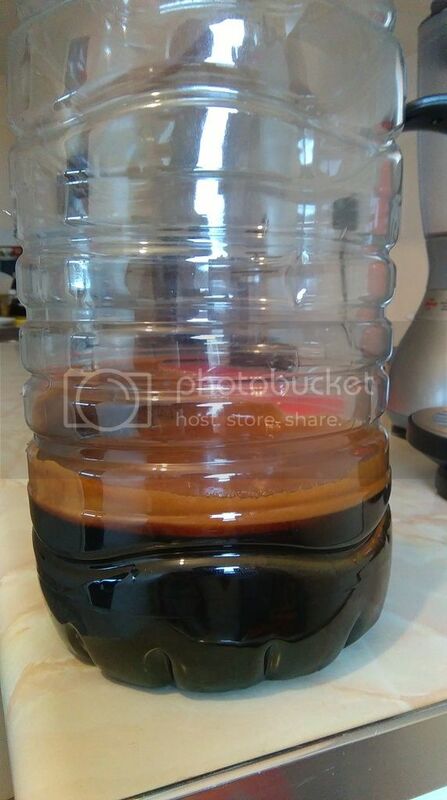 Single step Infusion at 64°C for 90 Minutes. Boil down 3L of first runnings to a thick dark brown syrup and add to boil. 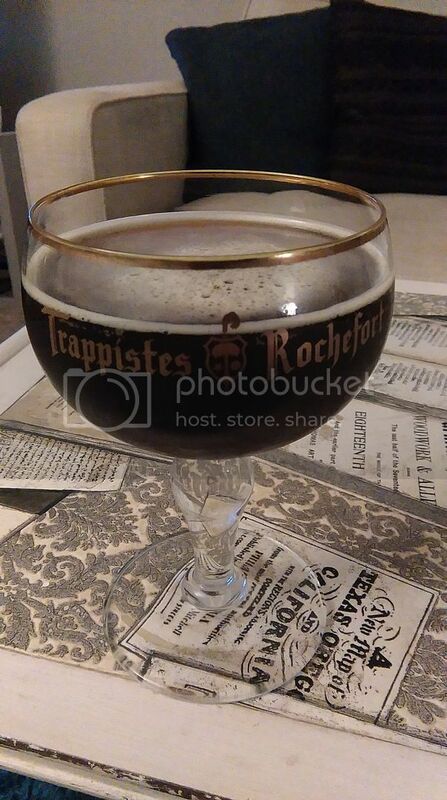 Fermented with Wyeast 3787 - Trappist High Gravity with a 2L starter. Pitch at 17°C and ramp by 1.5°C per day up to 27°C. At around 1.015 rack to secondary and ramp down to 20° over 4 days. At FG of 1.012 crash to 10°C and hold for 8 weeks. Bottle at around 2.5 vol/CO2 with a pack of US-05. 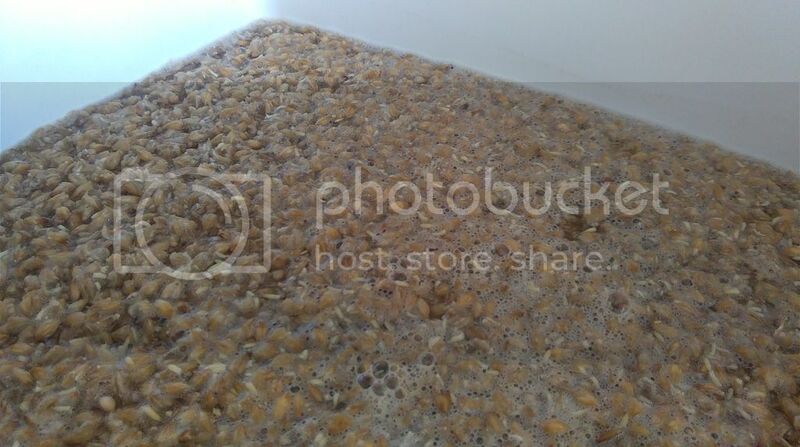 I'll hopefully get the starter made on Tuesday then brew this on Wednesday. 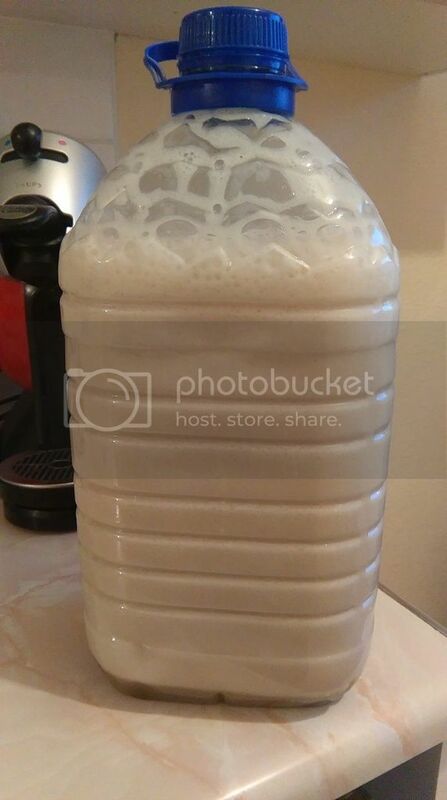 I should probably have bought 2 packs of yeast, even with the 2 liter starter I'll still be under pitching a bit according to Mr. Malty. But hopefully the low mash temp and high amount of simple sugar in this will help dry it out a bit. Last edited by StevieDS on Thu Jun 02, 2016 12:54, edited 4 times in total. 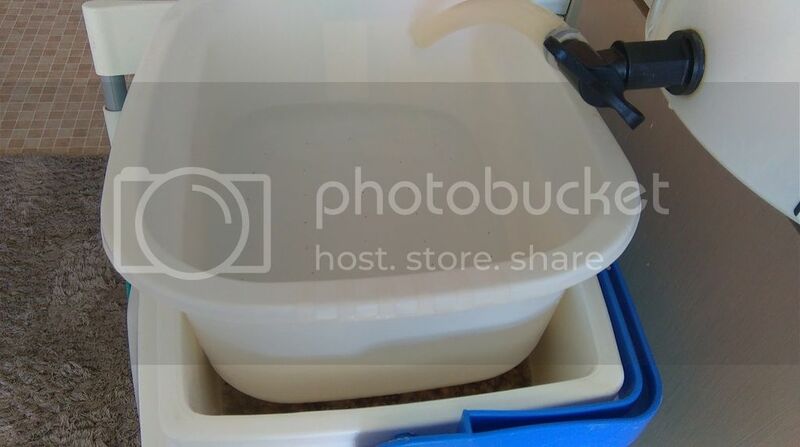 Ambitious beer to clone! But then all of yours are Stevie haha. Good luck! This looks like a cracker! robwalker wrote: Ambitious beer to clone! But then all of yours are Stevie haha. Good luck! What really intrigued me about this is the fact that such a simple recipe can create one of the most complex and delicious beers in the world, it's all about the process and the skill of the brewer. If I can even get close I'll be very happy! Guess to replicate it properly you should get up at 5AM, pray for a few hours and wear a habit all day when brewing. That seems to be the case with a lot of great beers. The things Belgian brewers manage to make with just pilsner or pale malt are incredible. Dennis King wrote: Guess to replicate it properly you should get up at 5AM, pray for a few hours and wear a habit all day when brewing. serum wrote: That seems to be the case with a lot of great beers. The things Belgian brewers manage to make with just pilsner or pale malt are incredible. I wouldn't overnight mash, I find the end beer finishes a little less sweet following an overnight mash, which you probably don't want in this beer. Good luck with this, looks a cracking recipe for one of my favourite beers. GrowlingDog wrote: I wouldn't overnight mash, I find the end beer finishes a little less sweet following an overnight mash, which you probably don't want in this beer. Good luck today, I'll be happy to swap a bottle when you're done. I might have to do a quad of my own in time for winter. Boil is under way. 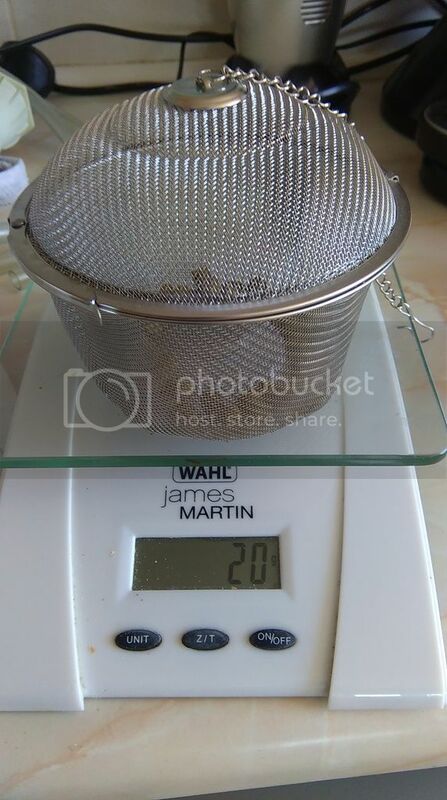 This is my first time using pellet hops so I'm using this tea ball thing as well as my ss braid, still not convinced they'll stop the hops getting into the fv but we'll see soon enough. I was pleasantly surprised by how fresh the hops smell compared to leaf hops though. 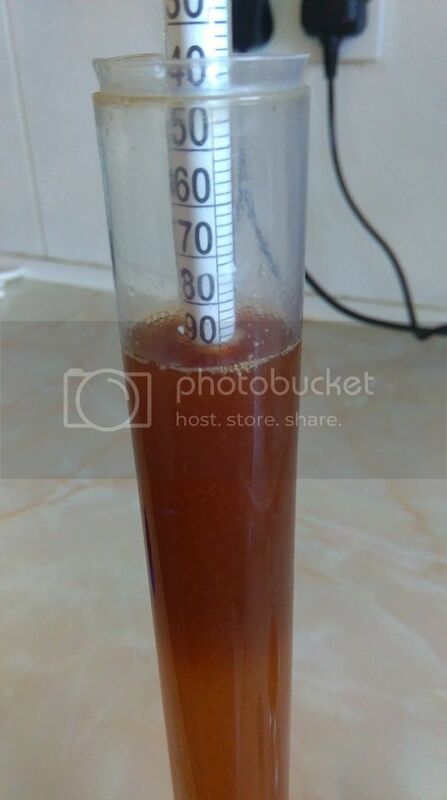 This is the result of reducing 3L of the first runnings. Tbh I could probably have reduced it further but I was concerned about burning it so in it goes. This is the home made candi syrup ready to go in also. All wrapped up now, og shot below is pretty much bang on. The tea ball was only partially successful. It did keep most of the hop matter inside but I still ended up with a fair amount in the fermenter. Not sure how that'll affect the final product but I'll be racking to secondary after a few days anyway. I'm quite happy with the colour, it's maybe a tad lighter than the real thing but it's not a million miles away. I always end up with a good quantity of hop pellet material in the fermenter, it makes no difference. Looking forward to progress reports on this one. 5hats wrote: I always end up with a good quantity of hop pellet material in the fermenter, it makes no difference. serum wrote: Good luck today, I'll be happy to swap a bottle when you're done. I might have to do a quad of my own in time for winter. Well there was already a krausen on this last night about 5 hours or so after pitching and this morning the blow off tube was glugging away nicely with the fridge working hard to keep the temperature down. There are some very nice fruity smells coming from it. The plan is to increase the temperature by 0.5° every 8 hours or so up to 27° by which point it should be approaching its final gravity. 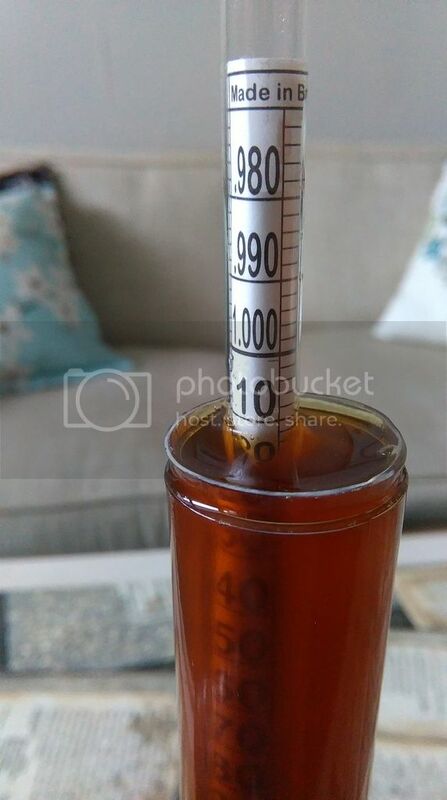 Checked the gravity of this is morning and it's down to 1.014 and the krausen has dropped so I racked to secondary and now begin the ramp down from 27° to 20° over 4 days by which point it should be at fg of 1.012. On tasting it seems quite promising, fruity with rich caramel, a little spice, but obviously quite harsh. It's well over a year since I last had a Westy so my memory is a little fuzzy but I think with plenty of maturing time for the flavours to develop this could be good if not exactly right. It's definitely too light, colour wise. It's more like a Westmalle dubbel so I could probably have used more candi syrup or a darker syrup at least. Final gravity pic, now I'll begin the 8 week "lagering" at 10℃. The lightness of the colour is a little disappointing but the flavours are pretty good. It should darken a bit with time and also it'll look darker when in a glass so I don't think you'll be all that far off. serum wrote: It should darken a bit with time and also it'll look darker when in a glass so I don't think you'll be all that far off. I have heard that aging darkens a beer, this will be stashed away for about a year so it might not be too far away as you say. Well after 8 weeks conditioning at 10°c I bottled this today with a pack of US05 and a priming rate of about 8.5g/L which should give me around 2.8 vol. For such a simple recipe the flavour is very rich, and the alcohol harshness has mellowed considerably. It's amazing how much this has improved over the last few weeks so I can't wait to see what a few months in the bottle will do. If anyone has some Westy XII I'd love to send you a bottle of this so you can do a side by side comparison.